Japan has recently announced a new update on the student visa status for designated activities. It is known as 特定活動 (とくていかつどう – tokuteigatsudou) in Japanese. This visa is available for students who are looking for a job in Japan after they graduated with a 4-year degree. Initially, the visa is valid for a year. If a Japanese company does not hire you within 12 months, you are likely to leave the country. However, with the latest update on the designated activities visa, you can renew the visa yearly with a new requirement applied. You need to finish a 4-year degree in Japan and obtain a JLPT N1 Level certificate to be able to apply for the designated activities visa. In this interview, I invited a special guest to share her JLPT N1 experience with you. 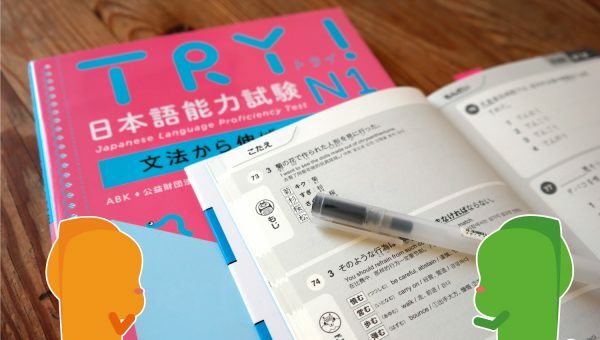 Vera, who is a German girl preparing for JLPT N1 after she had a long and serious study break, and now she shared with us how she made her JLPT N1 study plan. My name is Vera, I just turned 28 and I’m living in Berlin, Germany right now! I’m working half-time in a company related to Japan. My educational background is completely non-japanese though – I graduated in Social Science. Besides Japanese, I only speak English (and maybe a tiny bit of Spanish). You have been studying Japanese for 10 years, then you took serious study breaks of 2 or 3 years. Now you’re back to continue your Japanese study journey. How did you get yourself back to the study journey? Some learners are struggling after they have some breaks. To answer this question, I think it’s essential to explain my background a little bit more. I started Japanese when I was 15 at school. We only learned Hiragana and Katakana and some really basic grammar structures, but somehow it was enough to make me fall in love with Japanese. That’s why I decided to go abroad and live in Japan for a year at age 16. After coming back to Germany, I did stay in touch with my Japanese friends and host family. I challenged myself with the JLPT N2 (I think it was called 2級 back then), but after failing the test I somehow lost my motivation to really put some effort into my language skills. After graduating from school I moved to Berlin and life happened – I simply didn’t care about Japanese at that time of my life. I had a study break of maybe 3 years. So how did I get back to my studies? I think it was back in 2014 when I realized how bad my Japanese had become. I still had contact with my host mum (who nowadays is like a second mum to me) but I increasingly had problems to express myself. Other than that, I tried to immerse myself more with Japanese. That’s why I started to watch Japanese movies, or started following Japanese Youtube channels. What I didn’t do is to force myself to achieve quick study goals. I wanted to take it slow and really find reasons as why I want to study Japanese again, and not why I have to. Other than that, I started my own Studygram Account on Instagram last year and I’m blown away by how it helps me to stay motivated! I met so many nice people online and I’m really grateful for being supported by such an awesome Studygram community! Please give it a try! My number one advice for everyone who is struggling with study breaks: First of all, it’s no shame to have some study breaks. Learning a language is meant to be fun, and enjoying the journey is key. Please don’t force yourself to study if you don’t feel like it. I had some serious study breaks and I’m more motivated than ever nowadays! Try to find a reason why you’re studying Japanese – and don’t be too harsh on yourself if you can’t motivate yourself to study. Stay curious about learning your target language and try not to see it as a task but rather a reward to learn it. A positive mindset is the most important thing when getting back on track after a study break. 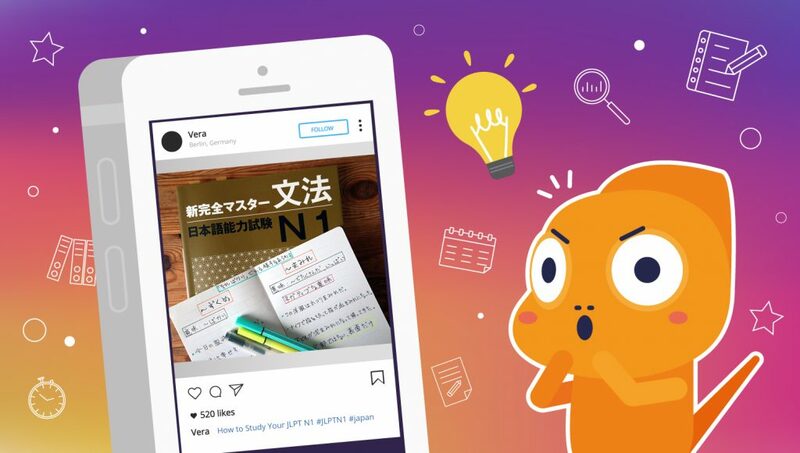 Why do you want to take JLPT N1? First things first: I already took the N1 twice, and failed both times! It’s no shame to fail in my opinion – the bigger mistake would be to simply give up. I failed both times because I never really prepared myself or took the test serious. So one of my reasons to take the test is to prove myself that I can stick to my goals and reach them. But another reason is that it’s important to have some mid-term-goals when learning a language. Being in the vague status between upper-intermediate and advanced level, I often feel it’s very hard to track my progress. The JLPT is the perfect solution for me to see if I made any progress and what my weaknesses are. Also, the JLPT comes in very handy when applying for Japanese related jobs and/or planning on working in Japan. 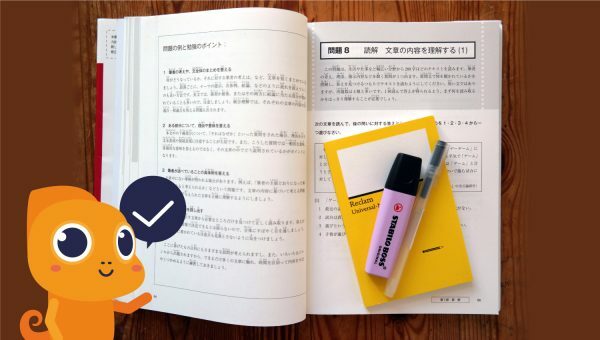 How do you plan to prepare your JLPT N1 study? Of course I’m working with Textbooks. I worked with the 合格できるN1 and finished it last year. I don’t have a structured study plan, but I do want to finish my new textbooks Try! N1 and the 新完全マスターN1 until July, too. I don’t like to feel pressured by my own study goals, that’s why I’m not setting up a weekly study plan on purpose. Whenever I feel like studying, I do. So often times I’m studying on the weekend or on my days off. Learning new grammar structures is really hard, especially at an advanced level. Most of the grammar structures are very formal and mostly used in business situations. Right now, I’m trying to approach new grammar structures by using as many study resources as possible. While learning with the Try! Textbook and the Shinkanzen Master, I’m trying to add more information by using Youtube channels like Nihongo no mori too, where you can listen to grammar explanations for free. Other than that, I’m making Anki decks for the grammar structures, with at least two example sentences. I try to avoid English explanations and prefer Japanese ones. I think it should be no problem to understand a native speaker’s explanation when already being at an advanced speaking level. How does reading a Japanese novel/book help you to improve your Japanese? I often struggle with grammar or new vocabulary (which I think is pretty normal, right?) and reading novels is a perfect way to encounter new words in a fun way. No one wants to stick to Grammar books all the time. Seeing how Japanese is used in “real life” is very important to remember it better and to achieve some sense of accomplishment. I clearly remember how delighted I was when encountering a quite difficult grammar structure in one of the Manga I was reading. Best thing that could happen to remember it, I promise! I know you are a Japanese book lover. What Japanese novels/ textbooks would you recommend to our readers? If you’re on an advanced level like me, just read whatever peaks your interest. Also, I’m not a huge fan of giving up before even trying or not challenging oneself with harder reads. Whenever I feel intimidated by a book because it seems too difficult to read, I recall how I read Harry Potter as a child. My English was maybe at a lower intermediate level back then. However I simply didn’t care about my English language skills because I really wanted to know how the story continues. Now I’m learning Japanese, but I think the principle should be the same: don’t be afraid of the language you’re learning, just try to find a book you really want to read and go for it! Challenge yourself and see how it goes. Learning kanji is never easy as a westerner. 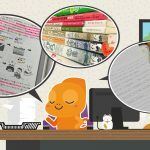 How did you study Kanji as you started and what do you do now to keep up the kanji learning as a JLPT N1 learner? When being an absolute beginner, I think it’s important to, first of all, learn how to write Kanji – knowing about stroke order is essential in my opinion. So I’d suggest to really learn maybe the first 200 Kanji by heart, just to get a feeling of how they work and structured. I now refrained from learning the writing of every single new Kanji I learn. For me, it’s simply too much to learn at some point. I’d rather invest my time into my passive understanding of Kanji (I use Apps like Memrise and Anki for new vocab). But that’s just my opinion – maybe you remember Kanji better when knowing how to actually write them! Just find what works for you. Living in Berlin. 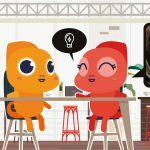 How do you keep up your Japanese speaking? Good question! As mentioned before, I still write with my Host Mum on a weekly basis, but that’s not active speaking. One of my solutions for 2019 is to find a Tandem Partner in Berlin. I never managed to make time for it, but I think it’s very important to train your active speaking skills, too! What was the biggest challenge when you were learning Japanese? How did you overcome it? My biggest challenge to this day is to stick to my studies. I often times feel like I’m not progressing at all and that’s really frustrating sometimes. That’s why I think it’s so important to track your own studies and actually see how much time and effort you invested in your studies. This way, I can remind myself of how far I’ve already come! Another big challenge for me is not to compare myself to others. There are so many talented and dedicated language learners out there that it’s sometimes hard not to compare myself to them. So instead of comparing myself, I try to see and learn how they are trying to improve. Additionally, I try to share my own knowledge as much as possible. Helping each other instead of competing is much more fun! What is your best takeaway/advice for people who are learning on and off, can’t find the motivation to stay consistent with their study? I mentioned it before, but I think finding a reason why you study Japanese is a key factor. May it be Japanese friends, your love for Japanese culture, that one book you always wanted to read in Japanese.. it doesn’t matter, for as long as you enjoy learning the language. My number one Mantra when learning Japanese is: Have fun! Don’t force yourself. Find people who are sharing your passion for the language (Instagram is an awesome source of motivation, by the way!). You don’t always have to study with a textbook. Sometimes it’s enough to simply watch an Anime or go to a Japanese restaurant and enjoy a good bowl of delicious Ramen. Learning a language is not only about grammar structures and the 2000 words you have to learn. It’s also about getting to know a new culture and to stay curious! 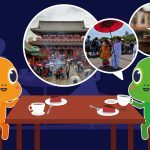 What is the most hilarious situation you had encountered when you spoke Japanese? My most hilarious situation was back in Japan as a high school student! My Japanese wasn’t very good at that time. One of my friends told me how she loved to eat にんにく, especially when it’s raw because it smells so nice. I didn’t know what にんにくmeans and my dictionary too gave me no answer. So I did what I’m always doing when not knowing the meaning of a new word: trying to guess what Kanji could have been used for it and thus knowing what it means. In this case, I thought she meant 人肉 (because 人 can be read asにん and 肉 as にく) and was understandably horrified.. I only later on realized that にんにくmeans garlic. What a hilarious situation!